More than 27,000 high schoolers across the U.S. became classmates in September with a shared assignment for the year ahead: to better themselves and their communities. 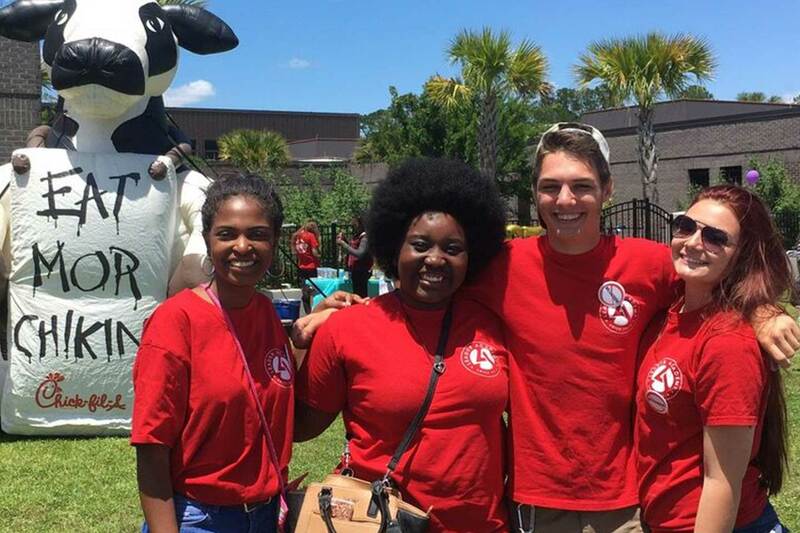 The students hail from over 900 high schools across the country and represent the next class of Chick-fil-A Leader Academy, a year-long national leadership program that challenges students to build leadership skills and then put them to work through community service. Schools kicked off the year by joining forces with Operation Gratitude, assembling and sending nearly 30,000 care kits for actively deployed U.S. service members. Kickoff events and participation in Operation Gratitude is just the beginning. Over the next seven months, students will take part in monthly “Leader Labs,” where they’ll be guided through an interactive curriculum. During “Do Good December,” the program’s midpoint, students will apply what they’ve learned by organizing a small-scale service project for families in need during the holiday season. Finally, Chick-fil-A Leader Academy culminates in the spring with student-led “Impact Projects.” Past years’ projects have included a tribute dinner to local veterans in Utah, a senior prom for local senior citizens and high school students in Florida, and a music-based memory care project for dementia patients in Ohio. “When you give these students the skills and power to have a positive impact on their communities, they do some incredibly inspiring things,” said Rodney Bullard, vice president of community affairs for Chick-fil-A, Inc., and executive director of the Chick-fil-A Foundation. It started as a side project. Once a week, husband and wife Jim and Melinda Hollandsworth stopped by a mobile home park in Loganville, Ga., to help local kids with their homework. Here in Gwinnett Estates, a predominantly Hispanic neighborhood, very few students were graduating high school — creating a cycle of poverty for the families who called this community home. From providing safe shelter for displaced children in Texas to preparing the next generation of leaders in Ohio, we’re completely inspired by the work our 2018 True Inspiration Awards regional finalists are doing.